Made with a complex blend of germ killing essential oils, this spray can help you tackle a bunch of cleaning dilemmas around your home without breaking a sweat. Spray down your gym bag or clothing to deodorize, or wipe down your cell phone or electronics to get rid of bacteria. 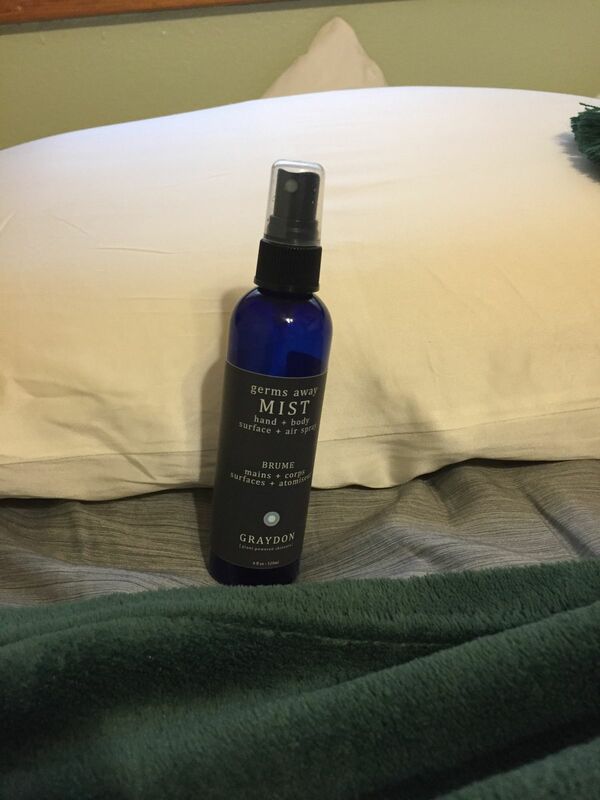 This product can also be used as an effective yoga mat spray. It’s easy to forget about how much sweat and bacteria can build up over the duration of a class but wiping down your mat is essential to maintaining healthy skin. Use a few spritz of our natural non-toxic spray so you can exercise without having to worry about undetected germs that may be lingering around.